Wisconsin Geological & Natural History Survey » Groundwater susceptibility maps, diagrams, and report for the Town of Byron, Fond du Lac County, Wisconsin. 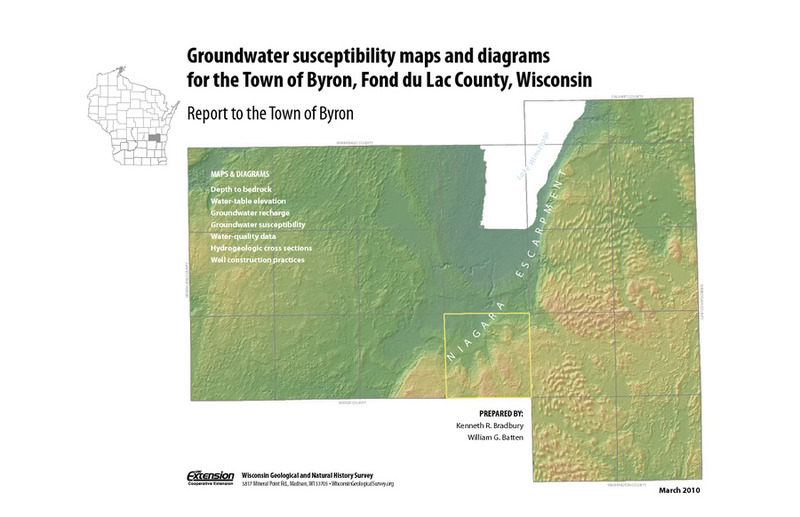 Publications / Open-File Report / Groundwater Susceptibility Maps, Diagrams, and Report for the Town of Byron, Fond du Lac County, Wisconsin / Groundwater susceptibility maps, diagrams, and report for the Town of Byron, Fond du Lac County, Wisconsin. Groundwater susceptibility maps, diagrams, and report for the Town of Byron, Fond du Lac County, Wisconsin. Author(s): Bradbury, K.R., Batten, W.G.